This week in Calais we distributed back packs put together with great care by the pupils of Penglias school in Wales. 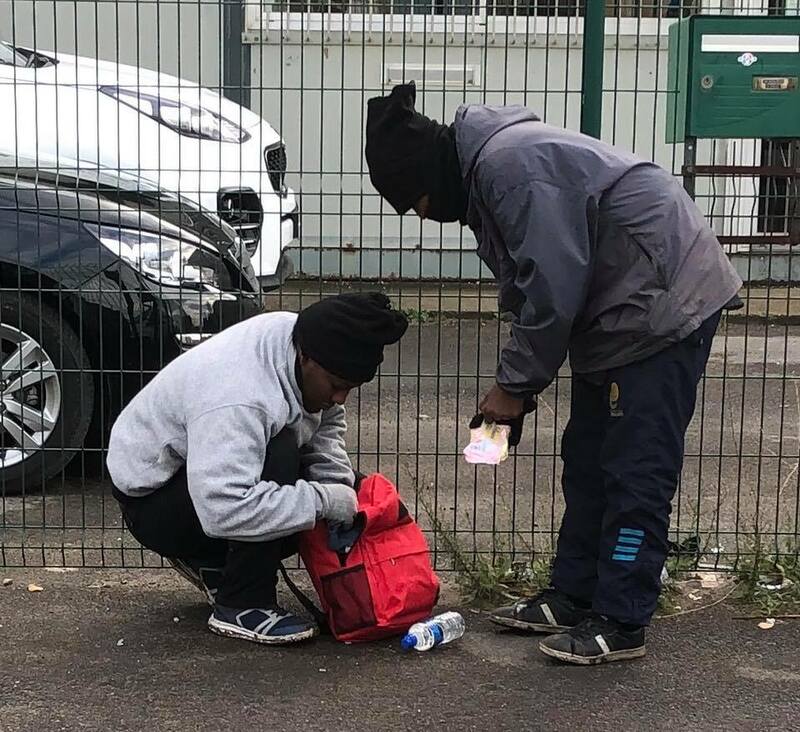 Their sixth form tutor, Debbie Mossman, came over to Calais a few weeks ago, and when she went home she decided she wanted to do more to help. Debbie had seen our video on making up packs for refugees (https://goo.gl/dneF87) so she bought 60 brand new backpacks and gave them to students at her school to fill. They really went to town! New hoodies, socks, gloves and underwear, dried fruit, water bottles, sweets and biscuits. The refugees have had a lovely treat this week. Thank you so much Debbie, both for collecting for the refugees and for doing such a great job of motivating your fabulous students!